“Versus AI” mode is now available for ranks 1-17. The Skirmish button has been renamed PvP Arena and is available from rank 5. 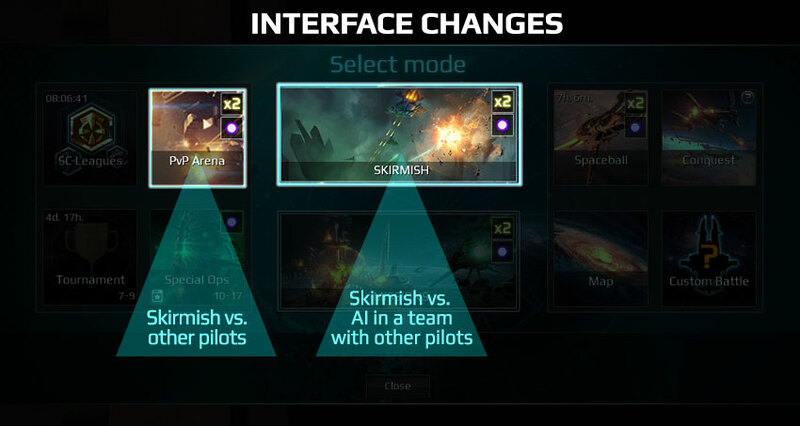 The button “Versus AI” has been renamed to “Skirmish”. PvP quests can now be completed by playing “Versus AI”. “Custom battle” and “Brawls” are available from rank 5.